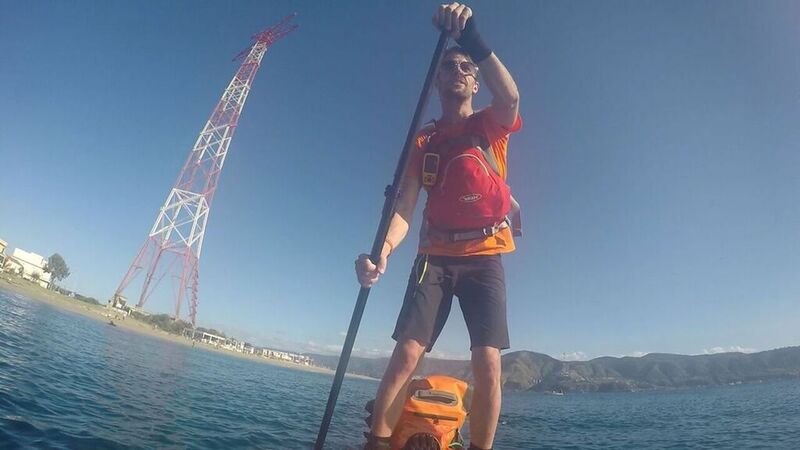 Mentions of the Mediterranean Sea may bring to mind images of sunshine and calm waters, but in October 2018, when I was attempting to become the first person to circumnavigate Sicily by stand-up paddleboard, solo and unsupported, I had to battle through thunder and wind storms about twice a week. That said, come rain, wind, swell, thunder, or lightning, I always paddled — I had some motivation to take me through the rough days. My project was to SUP around Sicily, a distance of about 620 miles, in 45 days. I was undertaking this expedition called “My Memory Paddle” to pay tribute to my grandmother who passed away with dementia in 2012 and to raise money for Alzheimer’s Research UK ($819 in total). My project was supported by Bluefin SUP, Aquapac, and Hydroflask who provided the paddleboard, waterproof bags, and water bottles for this journey. I carried all my provisions with me, including a tent, water, and food. The SUP was an inflatable, 14-foot racing paddleboard. I slept in a small, two-person tent, cooked my food on a portable gas stove, and carried my equipment in large waterproof duffel bags. To minimize my impact on the environment, I filtered river water to make it drinkable and carried my waste with me. I knew this adventure was going to be a hard one, but I was not expecting the hardship to happen so early in my journey. I had to be rescued from a nasty thunderstorm and 25-mph winds by the Guardia Costiera on my very first day — not the best way to get cracking on breaking a world record. My ego was bruised, but I was not defeated — I knew that my tenacity could triumph over my fears and take me through the difficulties. I was taking on this challenge to fight a disease of the mind with the powers of the mind: fortitude, resolve, and willpower. On day two, I set off at sunrise to re-paddle that section and head further into Palermo Bay. Thankfully, things improved for a spell after that eventful first day. On average, I paddled for eight hours a day achieving between 20 and 25 miles per day, in spite of the frequent dangerous currents and winds. Every night, I camped on isolated and remote beaches and took in the beauties of small Sicilian hill towns, volcanic cliffs, and Mount Etna — these were moments of safety and rest that I cherished for I knew what I would have to face in the morning. I was making very good progress. I’m not an athlete, yet by day 30, I had paddled almost 430 miles in just 23 days. My mental strength and my wish to honor my grandmother, much more than my physical abilities, were helping me achieve my goal, and I was well on schedule to complete my journey within my allotted 45-day period. Unfortunately, fate, or Poseidon, had other plans. On day 31, I landed at Licata to buy food from a local supermarket in preparation for the next week of paddling. Resupply points were few and far between so I had to carry with me enough food for at least one week — a considerable amount of weight. As I was paddling out of the beach I got hit by a three-foot wave that capsized the board. I was trapped about 600 feet from the beach in breaking waves trying to recover my board and stop any of my gear from floating off — not an ideal place to find yourself when you have a 41-pound SUP attached to your foot. Another wave hit and my face met the seafloor. The tug of my leash pulled me to the surface, and I managed to recover the board. I scrambled back on the board but was unable to set off to shore. Every attempt to close my fist around my paddle was met with searing pain. The distance to shore felt like an ultra-marathon. After what seemed like ages, I landed at Licata. In that moment I felt only sadness, frustration, and anger. I suspected what had happened and knew it meant the end of my adventure — I had broken my right hand. Continuing was impossible. 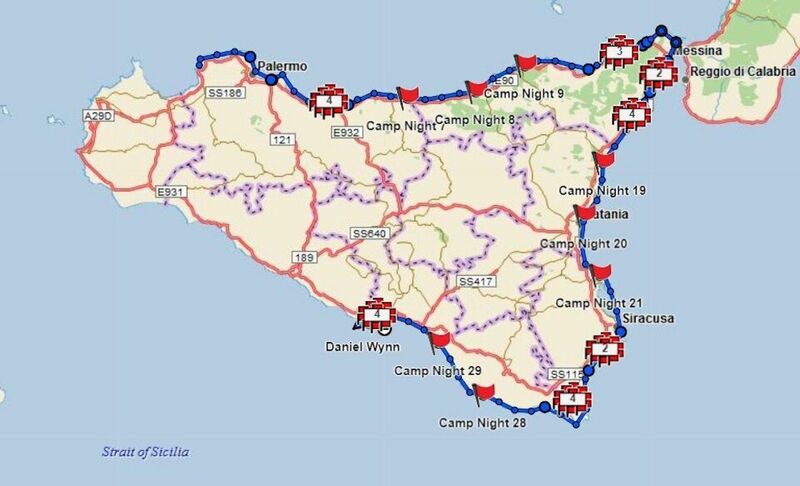 I had paddled over 440 miles, traveling from Terrasini in the north to Licata in the south heading clockwise around the island. 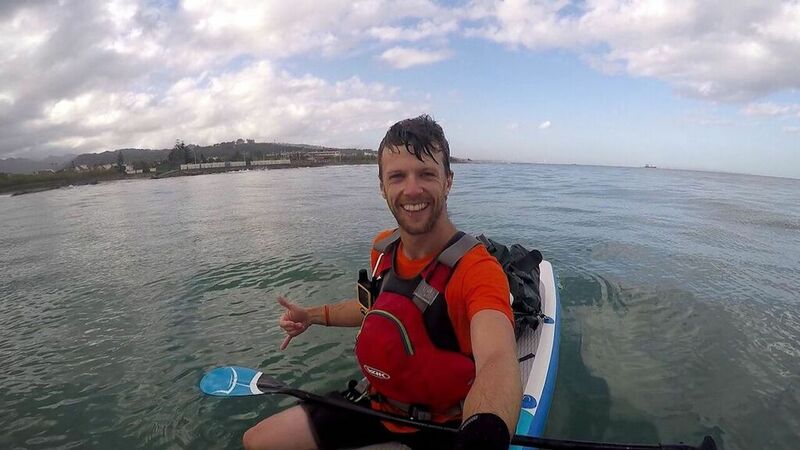 I had just under 180 miles to complete my lap of Sicily — one week of paddling. Determination is very powerful and can help a sunburned, chaffed, exhausted man overcome pain to reach success, but it can’t override broken bones. The frustration I felt towards my injured body is nothing compared to the frustration an Alzheimer’s sufferer experiences when the illness takes over, but I certainly understand the helplessness one feels when they are betrayed by their bodies a lot better. I also understand better the power of support to sooth that frustration and helplessness. Without help from loved ones, I would not have been able to overcome the disappointment and accept that me not being able to accomplish my feat was not a failure. This journey wasn’t about me or the end goal. It was about honouring my grandmother’s memory and creating memories that will stay with me forever, no matter what.